Post a picture of your hometown! Southern U.S. Crafters? Especially Tennessee! Just want to . . . . I took a day off and went shopping today. Bought a gorgeous little cardigan, 4 lovely fat quarters, yasmin tea in a pretty can and wrapping paper. 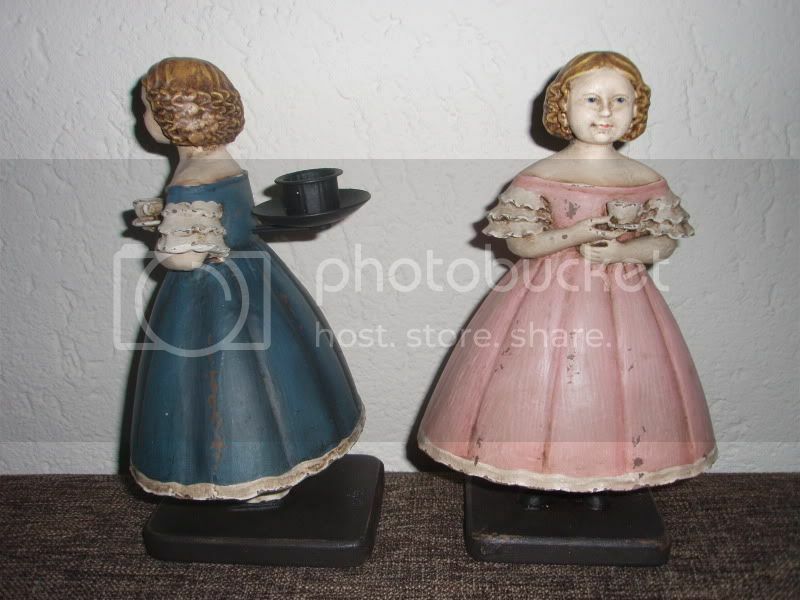 These two lovely candlestick holders. i bought a tredmill for $30 at a thrift store it works great. i love it and its a whole lot better than paying $300 for it. I bought a stash of kiddie print fabric! Yesterday I bought a cute cupboard for my new craftroom. Hello Kitty stuff at Target!! Unless of course, you count paying my library fine as a purchase. Tee Hee! brown sugar, coconut, walnuts, white sugar, butterscotch chips, sweetened condensed milk...can anyone guess that I'm starting my holiday cookie baking??? A black industrial piercing: http://prinsessmeerkaas.files.wordpress.com/2009/12/lb2-001.jpg (I only give you the link, because I am afraid otherwise my enormous head will fill your computer screen ;) ).